. استمتع بالخدمات الراقية والضيافة التي لا مثيل لها بهذا الفندق في جولد كوست. تتضمن الميزات الرئيسية في هذا الفندق: خدمة حجز التذاكر, تسجيل وصول/خروج سريع, تخزين الأمتعة, واي فاي في المناطق العامة, صف السيارات. تعكس غرف الفندق البالغ عددها المنتشرة في طوابق جواً من الدفء والألفة.خدمات عصرية مثل تلفزيون بشاشة مسطحة, اتصال لاسلكي بالإنترنت, غرف لغير المدخنين, مكيف هواء, مكتب موجودة في بعض الغرف المختارة. إن حوض استحمام ساخن, مسار جولف - ضمن 3 كم, حمام سباحة خارجي, سبا, تدليك هو المكان الأمثل في الفندق للاسترخاء وتفريغ طاقتك بعد نهار طويل. 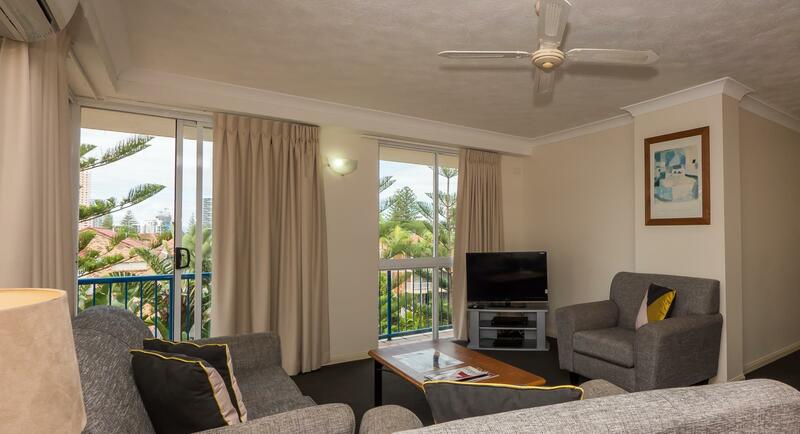 يشكل San Mateo on Broadbeach Apartments بخدماته الراقية وموقعه الممتاز، قاعدة مثالية للاستمتاع بإقامتك في جولد كوست. Pleasant, quiet boutique hotel, well looked after by friendly, helpful owner-managers Ben and Shara. (Thank you!) Close to patrolled beach, nice cafe (Lola’s) and Spar supermarket around corner. Also next to the beach, a great Art Gallery with coffee stand. 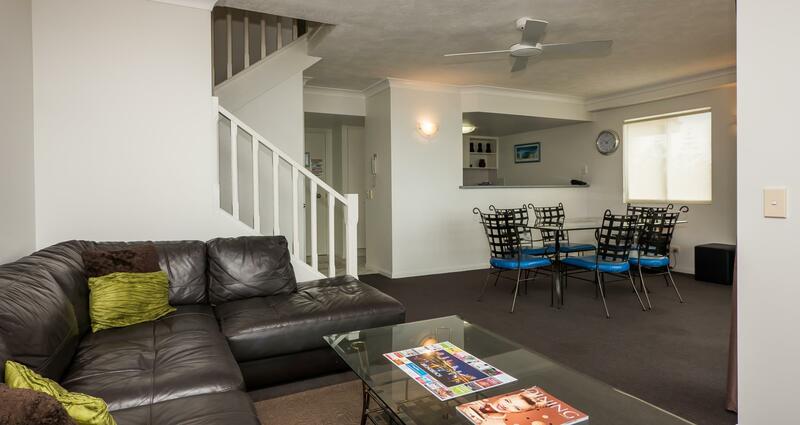 10-15 mins walk to Broadbeach mall, trendy bars, loads of cafes/shopping. Currently construction happening close by, but only occasional noise and didn’t really notice it. Lazed around great pool area with good books provided. Great facilities, clean, vibrant and very close to all the Gold Coast has to offer!! 2 bedroom apartment Pros: Great size overall and well laid out. Comfy beds, air conditioning and fans. 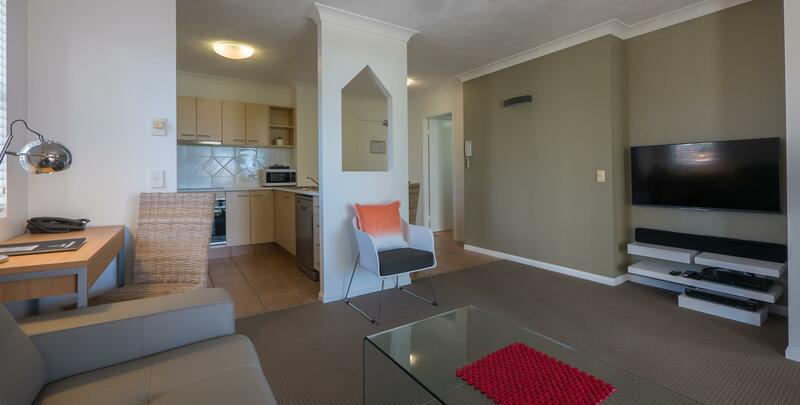 Really beneficial to use the full kitchen and laundry facilities. Extra toilet came in handy. Owner/staff were always really helpful and lovely. easy to get to from the airport and not super expensive in an uber. Public transport really close. Great proximity to a lovely beach, shopping centers, supermarket, great cafes. Pool and spa on site with BBQ facilities also. Cons: a bit updated but all the pros make up for it. Would highly recommend to anyone. Great for families. good value. nice staff but limited office hours. new building being built opp so early morning noise at present. Hi Hin, Thank you for reviewing San Mateo Apartments. Take care! San Mateo was clean; comfortable; accessible to everything; right on the beach; secure parking; and pretty much ticked all boxes. Very comfortable and close to restaurants (10min walk) and across the road from the lawn bowling club and beaches. Very comfortable place with all the equipment you would expect from a self contained unit. Only improvement would be an exhaust fan in the bathroom as the open window when having a shower or using the toilet does expose you to the neighbours. All in all a good place to stay! Stayed penthouse. Value for money. Great view from top floor and quiet. Little bit away from main street, but it's only 2-5 min driving distance. Great spot not far from the beach...off the main road...close to great restaurants and other amenities. Bed was average and both the hall and room smelled strongly of cigarette smoke. 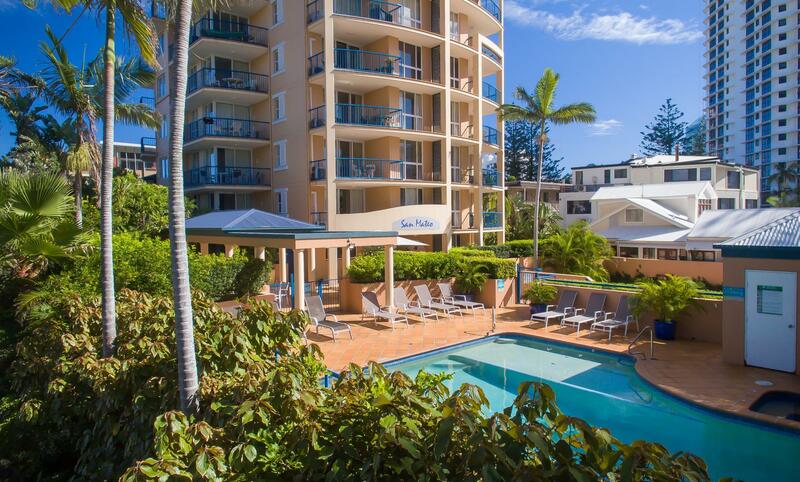 I can't fault these apartments, fantastic location in beautiful Broadbeach, so close to beach, cafes and shops. 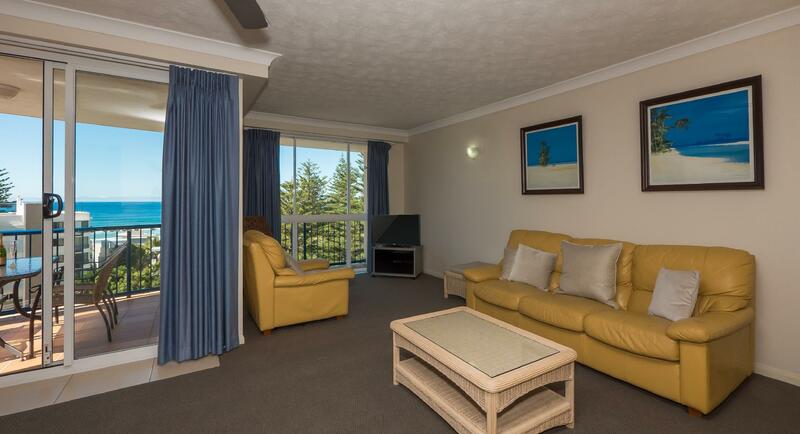 This is the only place my family and I will stay on the Gold Coast. This property states on the sign out the front that they are Luxury Apartments....the one that I stayed was a long way from luxury, it was very disappointing and only maybe average. There was only one air conditioner in the lounge room and a fan in the bedroom. The TV didn't work & even after following the instructions that they had...it still didn't work. The lobby, lift and hallways were NOT air conditioned and there were no staff anywhere at all, very disappointing especially for the price.